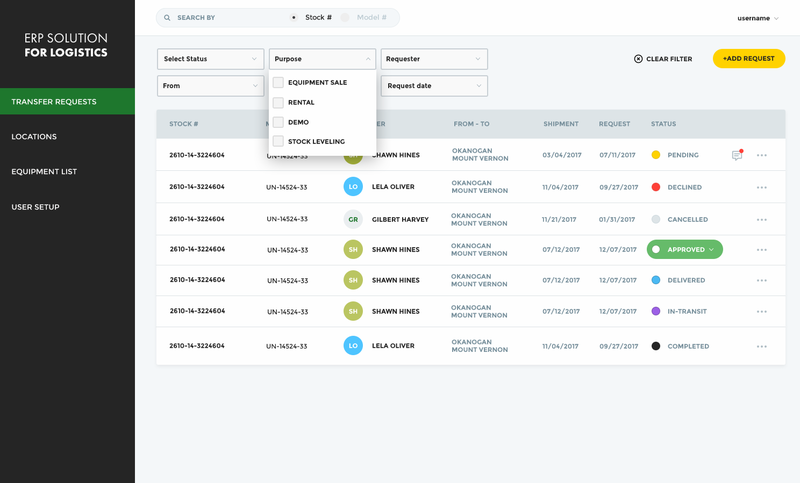 We aimed to build from scratch ERP system for the logistic company to digitize the company business processes, set up single workflow, and provide a user-friendly interface for loading and transfer management. Lower the company’s operational costs by the software solution. Add transparency to the company workflow. Optimize sales by simplifying the search for equipment on the company stock database. 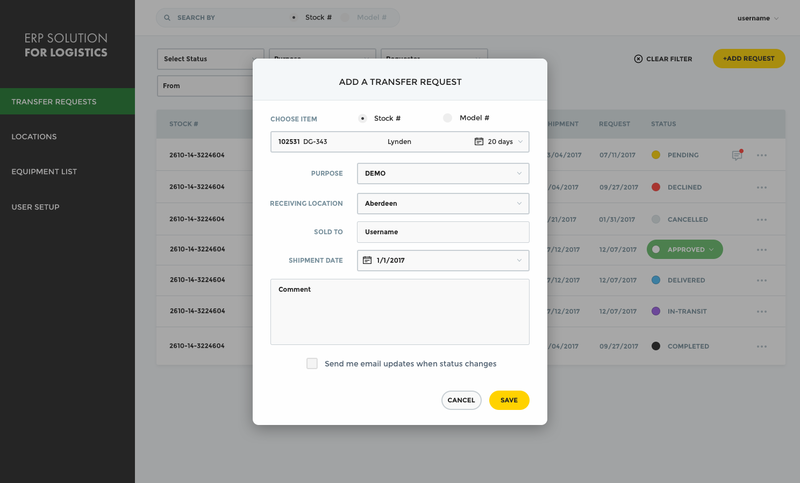 Keep all request participant notified about the request estimation, status, and changes. Create a system to solve the company’s logistics issues. Roat management according to equipment stock, request location, transfer costs. As to fulfill our client requirements our BA needed to immerse into the company current workflow and transform it into technical requirements of a software solution that will not only automate and gather all data in one place but also optimize the company's operations. The system consist of 3 main parts: 1. Web-interface 2. Mobile app for drivers 3. Mobile app for sales personnel Web-interface is a core of the system which links and helps to manage all activities that happen while the company’s operations such as TR creation, TR management, managing each truckload, scheduling transfers according to dates and equipment stock, and routing transfers to minimize operational costs. 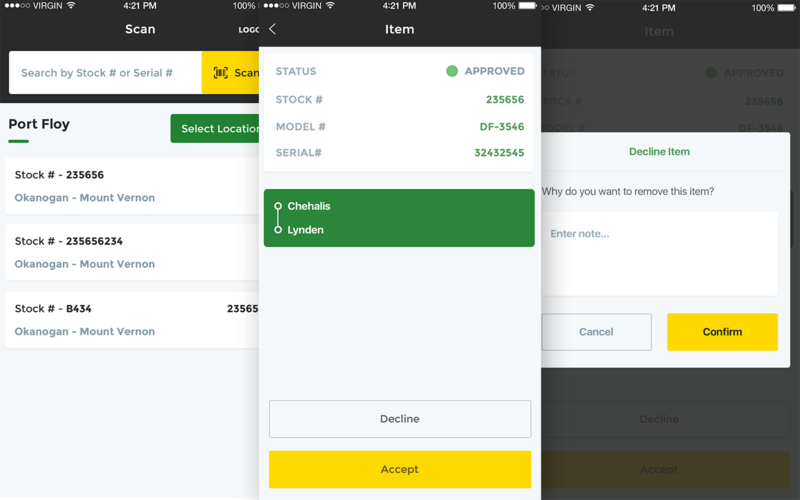 The driver app allows drivers to see their routes, manage loading using barcode scaneeк and QR-code recognition, change transfer request statuses, and add notes to them iа needed. As it is a complex system with diverse users which have different responsibilities, we’ve implemented differentiation. 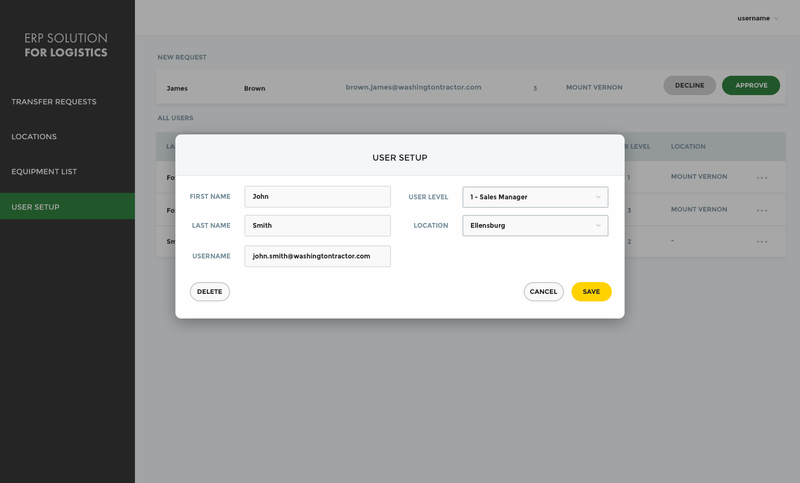 When a user registers in the system his/her roles is settled by an administrator, so after logging in a user has access only to specific functionality which is defined by his/her role. We were to develop a complex system with a big functionality. So, we needed to prioritize features as to deliver the product on time. It means that we needed to define key features and develop them firstly, then add the others to make the system with clear objects relations and still confirming MVP model. The driver app functionality needed close integration with an external device (barcode scanner) which demanded usage of Bluetooth Low Energy (BLE), anв Bluetooth 2.0 (2.1). Also, the app should have a QR-Code recognition. 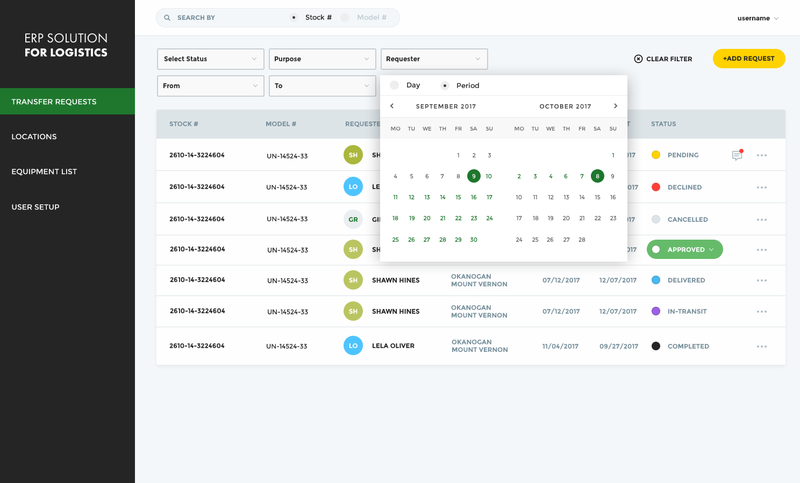 We’ve developed a complicated system, which provides its users with user-friendly interface and rich functionality to fulfill their everyday tasks and handle issues which arise while operations. 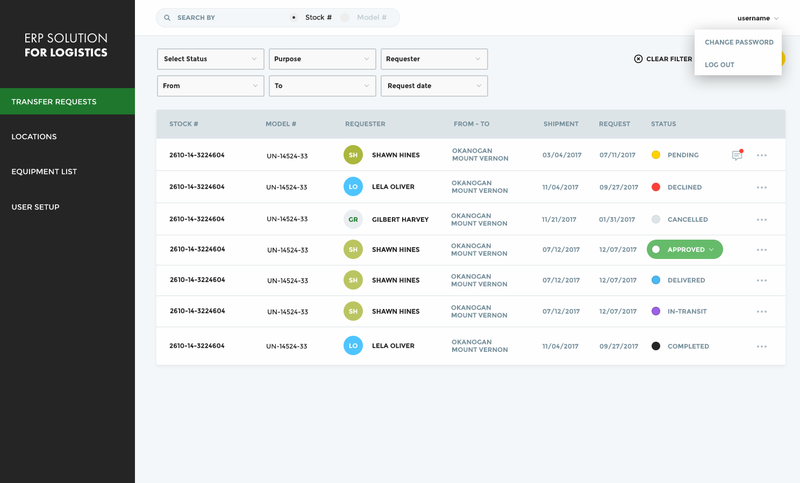 The solution helps to manage operation and costs giving the company’s managers with reports and statistics on activities that happen in the company. We’ve got a useful experience in applying skills and new technologies to deliver the best product which fulfills all the client's requirements. For the future, we plan to deliver a mobile app for sales personnel and expand the current functionality of web-interface and mobile app for drivers according to the client needs.